She's shooting to release it in "spring but realistically, fall"
Just shy of three years on from releasing her Art Angels LP, Grimes has revealed that a follow-up full-length will be arriving in 2018. The artist revealed the plans through Twitter in response anniversary post celebrating her third LP Visions, writing, "...a nu one out this year so 3 albums in 6 years is not a bad level of productivity." 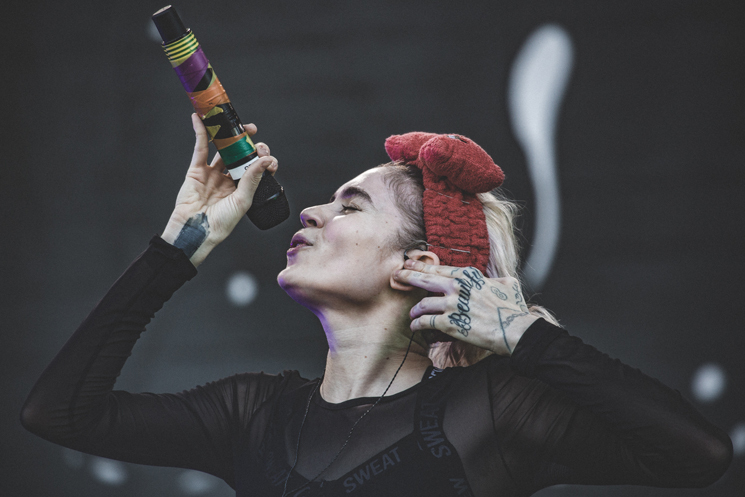 When asked by a fan as to when the album would arrive, Grimes added, "i would say spring but realistically, fall." You can find the tweets below. Earlier this week, Grimes appeared alongside Kim Gordon and Joanna Newsom in a Rodarte fashion lookbook. Last year, she made a contribution to Tegan and Sara's The Con X covers LP.